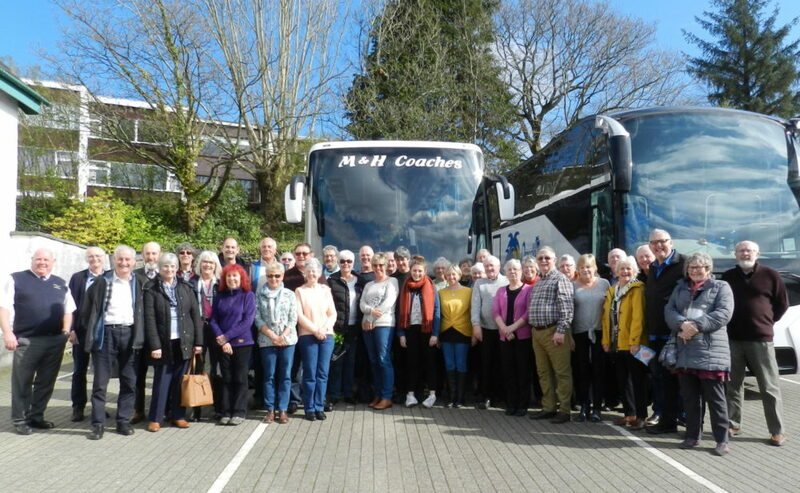 Any trip with the Denbigh and District Male Voice Choir is a memorable experience. 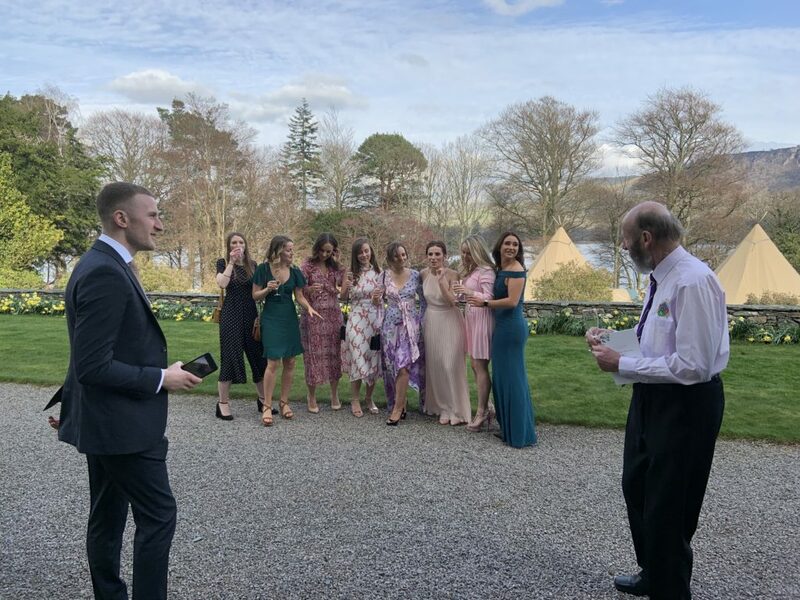 Our latest Denbigh choir Lake District trip, to include a wedding at Keswick, was no exception. From the M & H Coach Depot at 9:30 on Friday, April 5, 2019 our driver, Mel, made short work of subsequent pick-ups. All made easier by the unfailing punctuality of all choir members and guests. Everyone was in good spirit and full of anticipation of the weekend ahead. Moreover, the weather forecast was promising. The spring sunshine also gave the landscape a new vigour. Stunning snow-capped vistas adorned our route to Penrith. A host of golden daffodils in abundance alongside the roadsides. We were, after all in Wordsworth country. After a Lunch stop at the scenic Tebay Tea Rooms we also had time to explore the Georgian town of Whitehaven. Later, it was on to the Premier Inn at Howgate, our comfortable base for the next two nights. After a tasty evening meal it was time for the evening entertainment. Furthermore, Geraint Roberts had brought his trusty keyboard. We were in for a good night. Then Nia Jones, our regular accompanist, took over. The singing continued well into the evening, much to the appreciation of other hotel residents. Following a hearty breakfast it was time to leave for Keswick. This popular tourist destination was bustling with activity and canine capers. It was Market Day in this attractive, dog friendly, town. However, the choir had a secret engagement. At 3 o’clock choir members left for the Lingholm Estate, some 4 miles away. We had a Wedding Engagement to fulfil. You can also read all about the cloak and dagger approach to the wedding of Florence and Matthew in a separate Blog. Saturday evening was a Free for All. Some groups went out for meals, some stayed at the Hotel. Some went to a Joint Concert at St Peter’s Parish Church, Whitehaven. 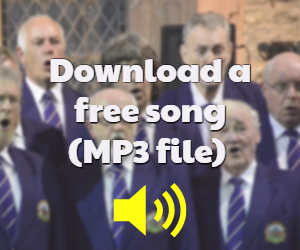 Taking part were Whitehaven Male Voice Choir and K Shoes Male Voice Choir. Invitation also accepted to join the two choirs for the final two songs. 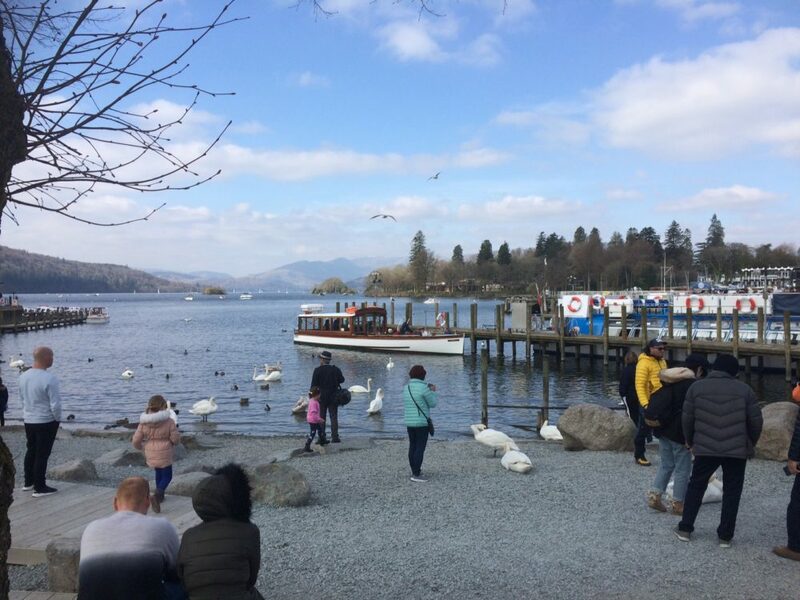 A pleasant drive through lakes and countryside brought us to Bowness on Lake Windermere. Ample time here also for lake cruises, shopping, eating, feeding birdlife on the lake. All of this whilst enjoying the sunshine. We all echo his sentiments. The success of the entire weekend is due to the painstaking planning and coordinating skill of choir member and treasurer, Gron Wynne. Thanks Gron for making the choir trip to Lake Distict so enjoyable and memorable.